Four weeks ago, at 5:00 in the morning a gun shot was heard and an impressive display of fireworks were set off. 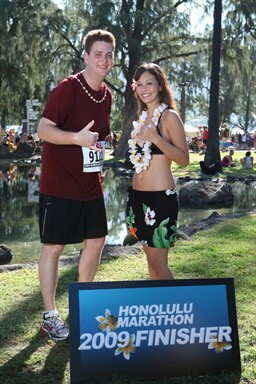 That was in Honolulu, Hawaii. I wasn’t really there for business or pleasure. It was determination of achieving one goal by the end of 2009. 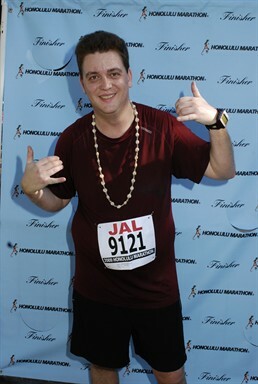 That goal was to complete my first ever, full marathon. 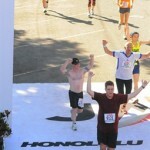 A fool full 26.2 mile race. The primary goal was completion and secondary was under 5 hours. Looking back at the majority of 2009 it wasn’t that challenging. It did definitely have it’s challenging and trying times. Especially those that caused my stress and blood pressure to rise almost to the breaking point. Those of you close to me, know exactly the series of events that I’m talking about. I try not to focus on them too much so that I can still keep smiling. Back to Hawaii. It’s often where my mind goes when I need to escape anyways. 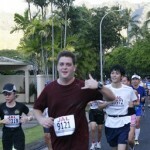 It was the start of the Honolulu Marathon—MY Honolulu Marathon. 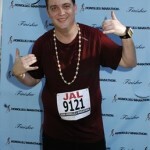 Myself and over 20,000 other competitors began putting one foot in front of the other. The streets were dark with the exception of basic illumination from overhead street lights. 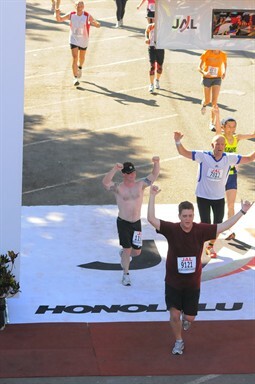 It was a weird feeling running through downtown Waikiki, running red lights—granted on foot. I was amazed at the number of people out cheering the runners on, even though it was so early in the morning. The race for me was amazing. 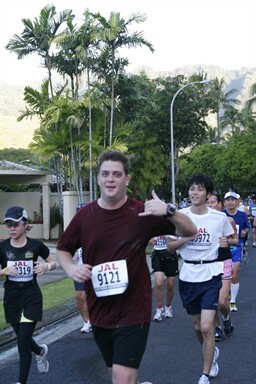 I don’t remember a whole lot about running the race. I pretty much got lost in my mind. There were definitely parts that I remember like watching the sunrise over the Pacific Ocean while running through mile 12. The sweltering heat along the H1 around mile 21. And of course the beer keg at mile 24 — which I realized was beer after I’d already passed by. The biggest single benefit that I got out of the run though was learning that when I set my mind on a goal, and something to focus on that I’m highly passionate about, there’s no stopping me. It boasts well for an upcoming post on my 2010 goals that I know I need to do. And it’s true what they say about a runners high. It’s been 4-weeks and I still love reflecting on the feeling of it. Even through the exhaustion and pain. I’m looking forward to my next one—once I figure out which one it will be. Have you got any running tips or experiences about running, whether a marathon or anything else? Let me know in the comments. Happy running. Entries (RSS) | Comments (RSS) | 53 queries. 0.445 seconds.